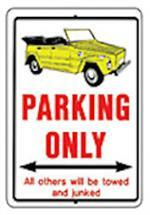 Colorful plastic sign to hold your parking spot. 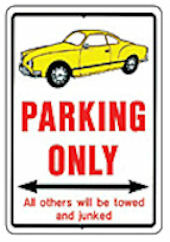 Available in Yellow, Grey, Blue and Red. 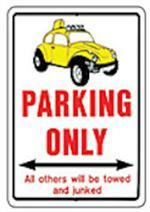 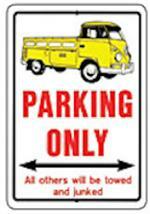 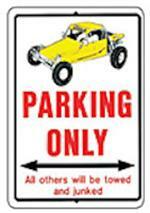 Signs available for Baja, Buggy, Bus, Thing and Ghia. Click options tab to choose yours.